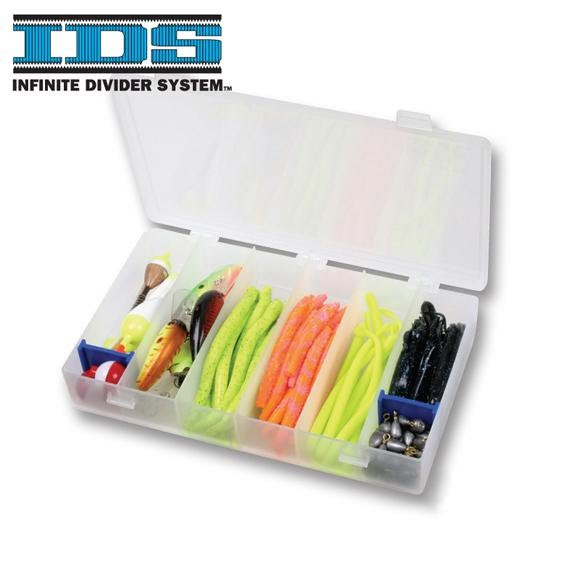 Infinite Divider System is a unique patented system that allows fisherman to place dividers exactly where they need them?every 1/16. No wasted space. Zerust has proven to be the absolute best way to protect your tackle against rust and corrosion. Molded into our Tuff Tainer dividers, this patented polymer emits a harmless vapor, forming a protective layer around metal surfaces. Infinite Divider System is a unique patented system that allows fisherman to place dividers exactly where they need them?every 1/16. No wasted space. Zerust has proven to be the absolute best way to protect your tackle against rust and corrosion. Molded into our Tuff Tainer dividers, this patented polymer emits a harmless vapor, forming a protective layer around metal surfaces. All Zerust products will maintain their effectiveness for up to five years or more, so you can count on hassle free, long lasting protection with our Tuff Tainer utility boxes.